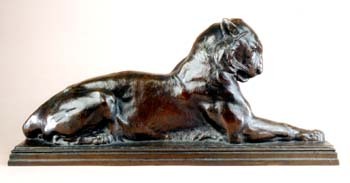 This is the larger size of the Princeton Tiger that A. P. Proctor was commissioned to cast for Princeton University in 1912. It was cast by the Gorham Company foundry and marked with their catalogue number Q450. It finished in a rich brown red patina. 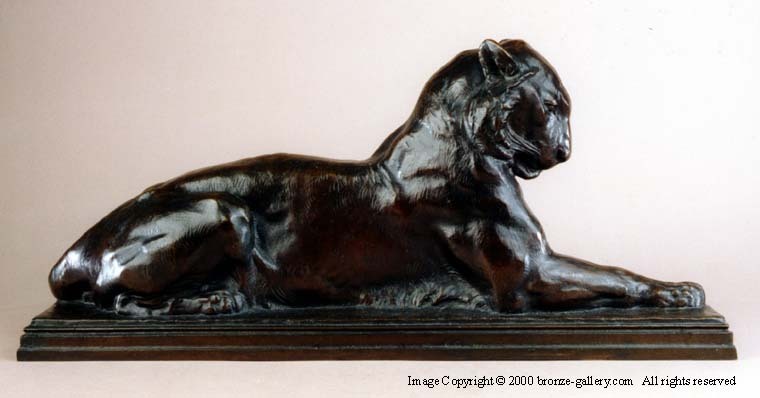 These large casts of the Princeton Tiger were made in very few numbers and at almost 2 feet in Length this is a very impressive bronze by one of America's finest sculptors in the early 20th century.